Operations Strategy deals with how you buy, build and prepare your product or service for sale. This covers a lot of ground, including sourcing raw materials, processes for conversion , hiring labor, acquiring assets, quality, waste reduction , reliability and shipping the finished goods. These components are different depending on whether you are a manufacturer, a retailer or a service firm. Excellence is all about delivering all activities of work with High Quality and Speed consistently-Aravindan Raghavan. Hase an integral part of Supply Chain Management. The goal of supply chain is to ensure delivering the right product at the right place at the right time, in the right quantity but at the value perceived by the king of any business (Customer). Operations play a crucial role in delivering that value. The small business or start up business owner need to understand how to integrate their supply chain with the supply chains of their customers. The logistics service provider may enhance or mar the reputation of an e- commerce business. The quality of components in a B-B business will affect the cost, delivery and customer service. Supply Chain is also known as value chain. Hence, business plan needs to focus on operational excellence and how value addition is being done in the supply chain. The simplest equation for Profit is Revenue minus Cost. A business has control over the cost unlike revenue and hence optimizing cost is a critical success factor for any business. Major part of the cost is accounted in making the product. Raw materials (RM) normally account for 50-60% of production cost. The costs incurred in transforming the RM into a finished product are the conversion costs. In a product, company operation is not the front end of the customer. The sales and service personnel face the customer .However in a service industry, operations face customers directly. Courier Service, e- commerce delivery, restaurants, airlines etc. are a few example of service industry. People play a crucial role in customer satisfaction In service sector business unlike a product where quality is already determined by the effectiveness of the process built in the operations. Operational Excellence is the byword in operations and the Japanese have institutionalized operational excellence. Toyota way of production is a must read for all startup businesses to achieve operational excellence. 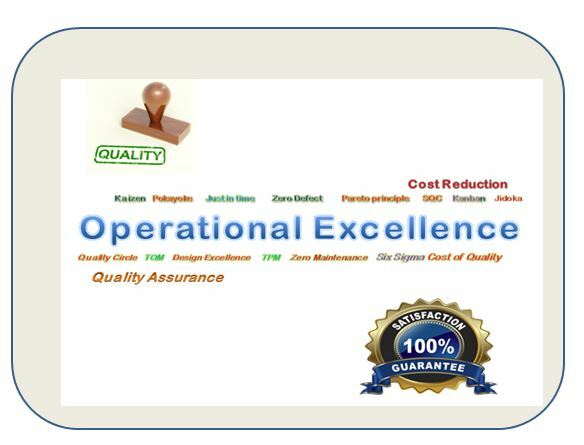 Quality is an attitude and application of lean concepts in operations helps in bringing down the cost. Japanese have proved that inefficient companies incur 50-60% of cost compared to lean organizations, which incur only 5-10% to maintain quality. The business plan should cover the following elements in the operations section.